Overall, 24 students provided us with feedback on their experiences. The majority of students reported that Navigate 2 helped them study and prepare for exams more efficiently. 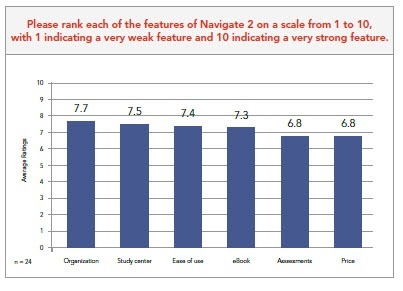 In addition, students reported highly positive ratings for Navigate 2 features, especially its organization and ease of use. 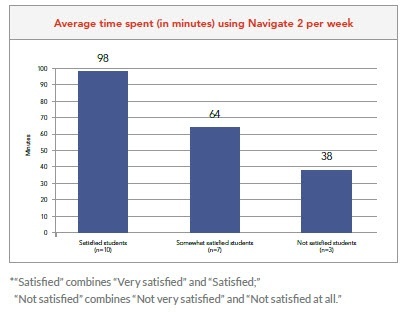 Another important finding of these pilots showed that students who spent more time using Navigate 2 were more satisfied with the product overall. What did nursing students have to say about using Navigate 2? Stay tuned for more Research on Navigate 2. Learn more at www.jblnavigate.com.